Rembrandt is known for handling paint with great skill; he was good at suggesting various textures and was able to manipulate pictorial effects. Here is an interesting fact about the historical and exotic costumes that were depicted in Rembrandt’s paintings. It was believed that Rembrandt used a big collection of costumes he supposedly had in his studio; however, the inventory of his possessions, listed in 1656, does not mention any. 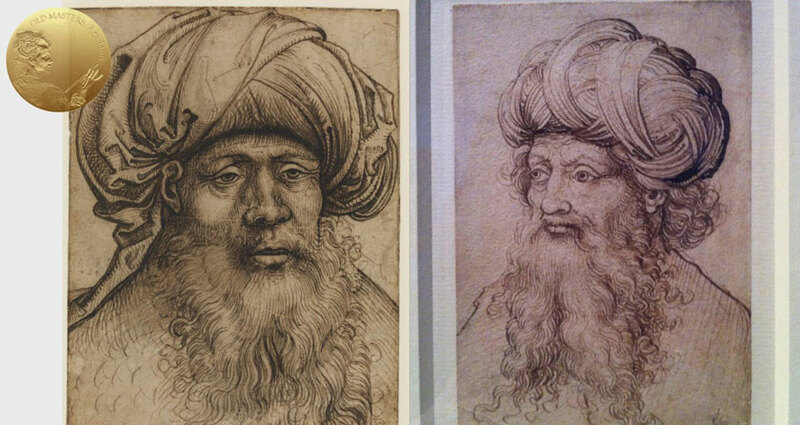 It is more likely that Rembrandt painted various costumes not from life, but from various 16th century prints (for example, from Lucas van Leyden 1494-1533). We can follow this tip and use reference images, combined with improvisation, for depicting interesting outfits for the models. In the Saskia as Flora flowers in the headdress were painted thickly to create raised up relief. 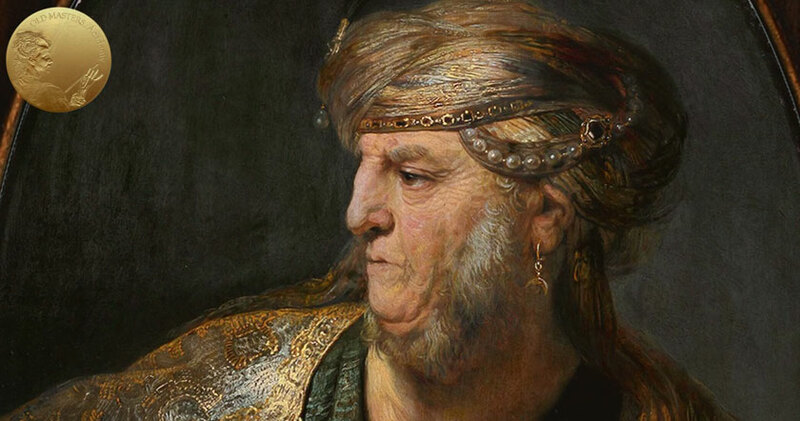 Rembrandt did the flowing hair using his trick of scratching wet paint with a stylus or brush handle. The earring was also done in a pastose stroke. The waistband is painted impasto with a range of color contrasts, using lead-tin yellow, yellow ochre, and lead white. Blue and green strokes have traces of azurite. The artist used a different texture for the dress and sleeves – the brush was drier and there is no pronounced relief. The overskirt was painted in blue mineral azurite over a pale body color – using the scumbling technique, and then glazed over with yellow. The blue flowers were executed with the same technique, but were left unglazed. 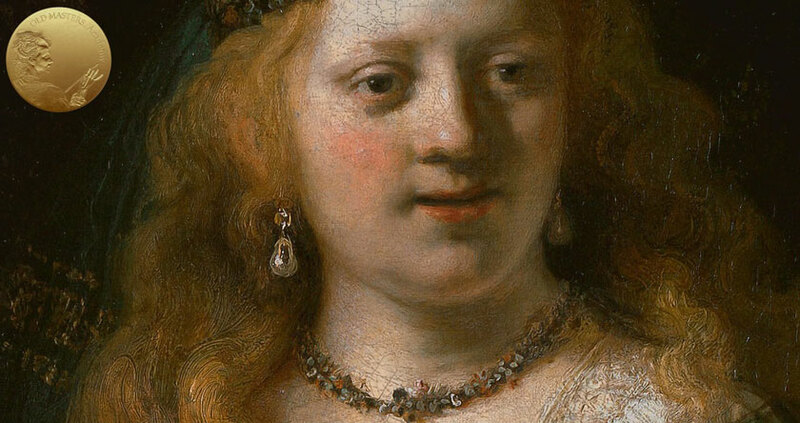 Rembrandt did not use any green pigments to paint foliage of the bouquet. Instead, for dark greens, he applied a thin layer of black pigment over a deep blue azurite underlayer. Lighter greens were painted with a mix of azurite and lead-tin yellow and yellow lakes. In Portrait of Philips Lucasz, the collar was painted in white and grey paints with black details on top. Highlights are pastose. The edges of the lace were painted on top in pure white, and thick yellow paint was used for the gold chain. 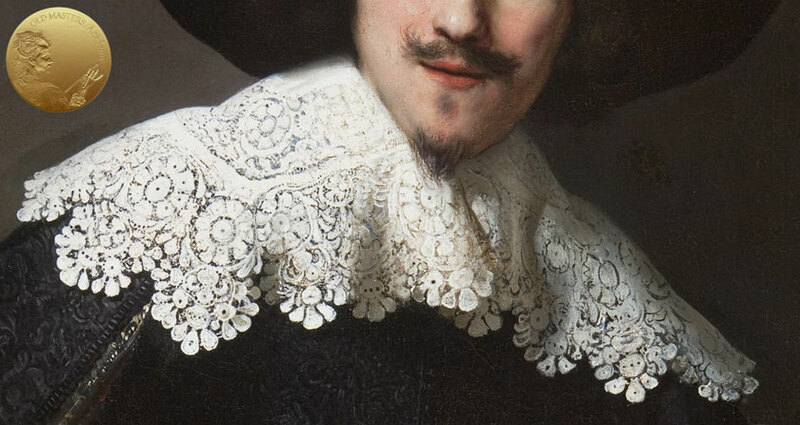 In other portraits, Rembrandt used a more refined and finer style for laces; in this portrait, it is obvious that the painting was done in a hurry. 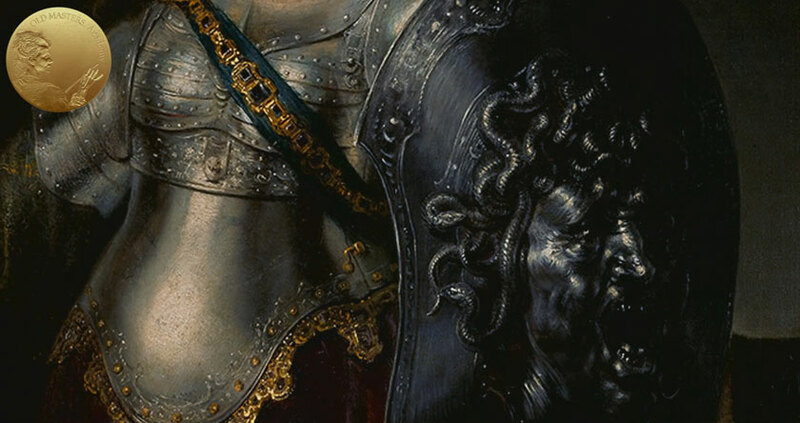 The fact that the gold chain links were also painted sketchily – as well as the fact that shadows and half-tones were worked wet-into-wet over the black tunic, also suggests that Rembrandt rushed the process. The darkest spots of the portrait contain bone black. The dark body color contains yellow ochre. The highlights are done in impasto with pure lead-tin yellow.